For a woman, nicely manicured fingernails are very important, because they can present an image of refined beauty. 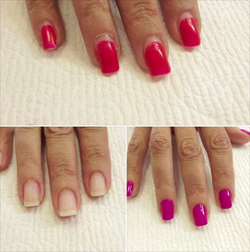 Having beautiful fingernails also gives an impression that your appearance is important to you. That is why many women in the world are willing to spend money on a treatment to make their nails look clean and attractive. Nicely manicure fingernails also bring feminine power to a woman. For a woman, there is nothing better than their looks, smell, and fashion so that taking good care of every aspect of their body is a must. Beautiful nails also accentuate a woman’s hands. From waving their hand to say hello, to running their fingers to touch their hair, or even applying their lipstick, they will feel more confident in their appearance because of the details. Beauty Image Spa and Boutique nail salon in Jenkintown, PA offers manicures and over 600 different shades of nail polish in stock at all times in addition to all the specialty finishes, decals and crackle polishes on the shelf for your convenience. Nail salons have long been thought of as a lady’s domain. But the time when it was a shock to see a man getting his nails done are long gone. Now, it’s common to see men at the salon, on their own or with their wives or girlfriends. After all, the clean, fashionable look once known as “metrosexual” is now pretty much what’s expected of all men. What’s so wrong with a man in a nail salon, anyway? There’s something special about a salon manicure. It’s like a mini facial for your hands. Nail technicians can provide a relaxing and pampering service while also increasing the health of your nails and cuticles. It isn’t just about the nails! 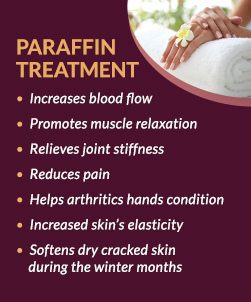 We highly recommend PARAFFIN TREATMENT for your hands, especially during the winter months. The warm paraffin also moisturizes for healthier looking, softer skin and helps relieve dry cracked skin. If you suffer from Arthritis Paraffin therapy is one of the most effective methods of applying deep heat to relieve pain and stiffness. We encourage gentlemen to visit Beauty Image Spa and avail yourselves of our relaxing and rejuvenating services. Complimentary wine and snacks with any service.